This past weekend I went to a friend's wedding in a beautiful park. The friend had thought she was infertile so had been not using birth control (!!) But, when she found out she was pregnant, she and her long time boyfriend were both absolutely thrilled. They decided to get married and start a family all in one year - all things they had hoped to do in the near future anyways. 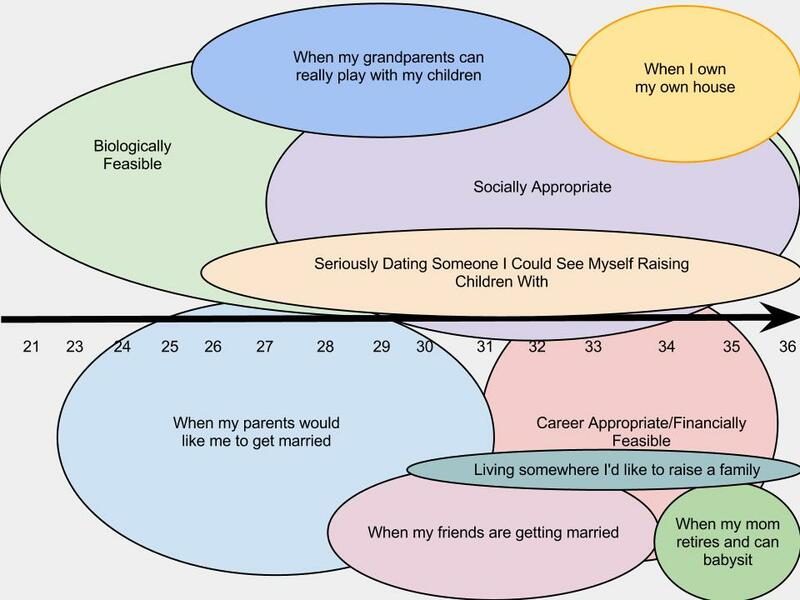 The way she put it was "I feel like in the ven diagram of when I should have children, the circles are overlapping the most right now - so I want to do it". She only gave a few examples of circles, but I sort of ran with it. How do your circles fit together?